Four of the most reliable cars on American roads are either recent model Toyotas or Hondas, with a Ford thrown in to spice up a list of the Top 5. That’s according to a “massive study” conducted by automobile repair diagnostics company, CarMD. 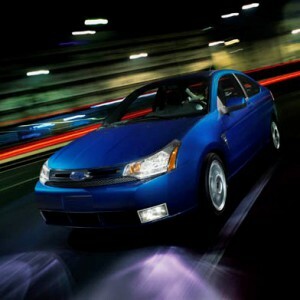 Most reliable was the 2010 Toyota Corolla, followed by the 2008 Ford Taurus. The 2008 Toyota Yaris (3) and a pair of 2009 Hondas, the Pilot (4) and the Accord (5), also made the list of most reliable. Also among the Top 10 were two 2010 vehicles made by Subaru, the Forester (6) and Outback (10), and the 2007 Lexus ES 350 (7), 2010 Hyundai Sonata (8) and 2011 Chevrolet Impala (9). The Impala was the most recent model among the Top 10, according to the CarMD study. The results were cited in a detailed report, “America’s Most Reliable Cars,” recently posted online by Michael B. Sauter, Samuel Weigley and Alexander E. M. Hess at business news wire 24/7 Wall Street, and were based on CarMD’s index, which measures the frequency and expense of necessary repairs. diagnostic computers from the vast majority of 2002 to 2012 model year cars sold in the United States.